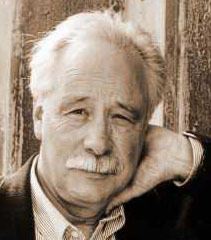 'A Whiter Shade of Pale' was quoted in The Emigrants by WG Sebald (pictured), published in German in 1992 and translated into English in 1996. The scene takes place in a bar in Deauville, where a combo is playing songs from the Sixties and the French vocalist sings this song in English. The scene ends with this line, which is very effective in adding to the sense of nostalgia and loss that haunts this section of the book.